The Ravens have signed free agent cornerback Trevin Wade, the club announced today. In order to create roster space, Baltimore has waived/injured fellow cornerback Al-Hajj Shabazz. Baltimore’s secondary hasn’t escaped the injury bug that has afflicted the Ravens’ roster, as second-year slot corner Tavon Young will miss the 2017 season after tearing his ACL, while another sophomore defensive back, Maurice Canady, may also be sidelined after suffering a potentially serious knee injury. At present, the Ravens are expected to start Jimmy Smith and free agent addition Brandon Carr at cornerback, with rookie first-round selection Marlon Humphrey in reserve. Other defensive backs on Baltimore’s roster include Brandon Boykin, Sheldon Price, and Lardarius Webb, who can moonlight in the slot despite having converted to safety. Wade, 28, will add to the Ravens’ secondary depth, and he offers a decent amount of experience: 47 total appearances, including 32 over the past two seasons. A former seventh-round pick of the Browns, Wade spent 2015-16 with the Giants. Last year, he started two contests and played on roughly a third of New York’s defensive snaps and another third of the club’s special teams snaps. Shabazz, meanwhile, had just joined Baltimore’s roster in June. If he clears waivers, he’ll revert to the Ravens’ injured reserve list. At that point, the 25-year-old could either spend the year on IR, or be released with an injury settlement. Here are the minor moves coming on Christmas Eve. The Steelers made several moves in advance of their Week 16 clash with the Ravens, signing defensive lineman Johnny Maxey and cornerback Al-Hajj Shabazz, Ed Bouchette of the Pittsburgh Post-Gazette tweets. To make room, Pittsburgh cut running back Daryl Richardson and moved cornerback Shamarko Thomas to IR. With Darius Slay‘s status murky for Monday night’s Lions-Cowboys game, Detroit promoted second-year cornerback Alex Carter from its practice squad, Dave Birkett of the Detroit Free Press reports (on Twitter). Carter came to the Motor City as a third-round pick in 2015 but saw an injury scrap his rookie season and did not make the 2016 team out of training camp. Carter, who will take Corey Lemonier‘s roster spot, has yet to play in an NFL game despite the Day 2 draft pedigree. The Ravens placed second-round rookie Kamalei Correa on IR with a rib injury and promoted Brennen Beyer from their practice squad to take his place, Jamison Hensley of ESPN.com reports. Correa finishes the season with three tackles and a fumble forced in nine games (one start). As expected, Brennan Scarlett will be rejoining the Texans this weekend. Mark Berman of Fox 26 in Houston reports (via Twitter) that the organization has activated the rookie linebacker from the injured reserve. To make room on the roster, the team has waived cornerback Al-Hajj Shabazz. We learned earlier this week that Scarlett had been designated as the club’s injured reserve/return player. The undrafted rookie out of Stanford was a revelation through the preseason and the first month of the season. In five games, the linebacker only compiled five tackles, but coaches noted the 23-year-old’s “size and aggressiveness.” Furthermore, as our own Dallas Robinson pointed out, Scarlett was widely regarded as one of the team’s best pass rushers throughout the preseason. In total, Scarlett played 29 defensive snaps and 63 special teams snaps before being sidelined with a hamstring injury. Scarlett’s activation is especially impressive considering the other names sitting on the Texans injured reserve. As Dallas pointed out, J.J. Watt, Braxton Miller, Jaelen Strong, Derek Newton, Kevin Johnson, Nick Martin, and Devon Still are all out for the season, and Scarlett’s activation means these players will remain on the injured reserve. While the linebacker was presumably activated because he was the healthiest of the bunch, it’s still impressive for an undrafted rookie to be so highly regarded by an organization. Scarlett will join a crowded linebacker corps that already features Whitney Mercilus, Brian Cushing, Benardrick McKinney, John Simon, Max Bullough, Akeem Dent, and Brian Peters. Simon missed last week’s game, which perhaps necessitated the activation of Scarlett. Mercilus is also struggling through a back injury. Shabazz has bounced around the league since going undrafted out of West Chester in 2015. The cornerback spent the 2015 season with the Colts and Buccaneers, and he spent the majority of this season with the Steelers. 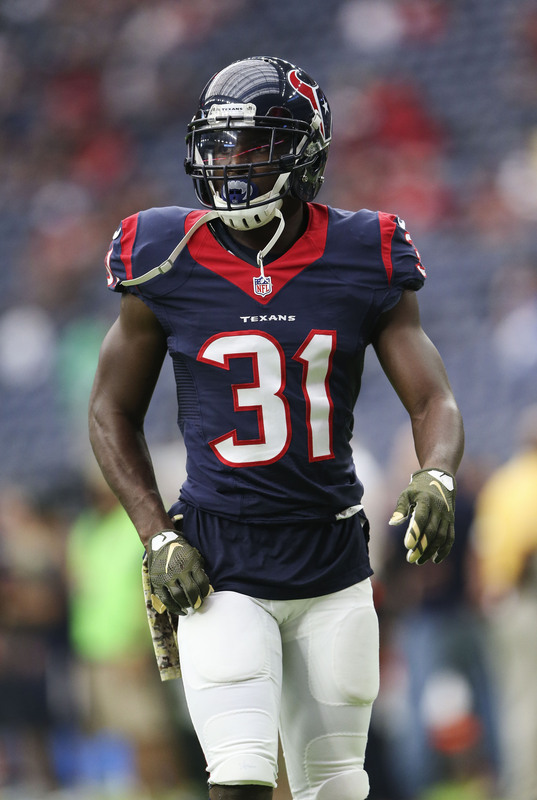 The 24-year-old was cut by the organization in early December, and he was picked up by the Texans only days later. 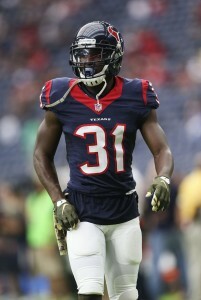 Shabazz ultimately played in one game with the Texans. On Sunday, James slipped in the snow and gave up a long touchdown pass to Jordy Nelson. Slipping in the snow is forgivable, to many, but the Texans apparently did not see it that way. James, 26, first gained some fans when he was featured on Hard Knocks while with the Ravens. 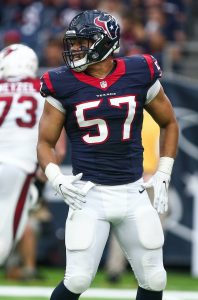 He did not make the active roster in Baltimore, but he saw some in-game action when he joined the Texans last season. Shabazz, an undrafted rookie out of West Chester in 2015, bounced between the Steelers’ active roster and practice squad this season. Over the weekend, he was dropped by Pittsburgh. In five career games, the cornerback has collected one tackle. Steelers kicker Chris Boswell was listed as questionable on the team’s latest injury report, so the team has signed another kicker as insurance. Ed Bouchette of the Pittsburgh Post-Gazette reports (via Twitter) that the Steelers have signed veteran kicker Randy Bullock. To make room on the roster, the team has released cornerback Al-Hajj Shabazz (via Bouchette). Bullock, 26, was the Giants’ kicker during their season opener as Josh Brown served his one-game suspension. The former fifth-rounder made two of his three extra point attempts, and he was subsequently waived by the team in mid-September. Since then, Bullock has gotten auditions with both the Bengals and Vikings. In three-plus seasons in the NFL, Bullock has connected on 80.6-percent of his field goal attempts and nearly 96-percent of his extra point attempts. Bullock has also been productive on kickoffs, averaging 65.9-yards per kick during his career. Boswell, 25, had a breakout season in 2015, connecting on 90.6-percent of his field goals. 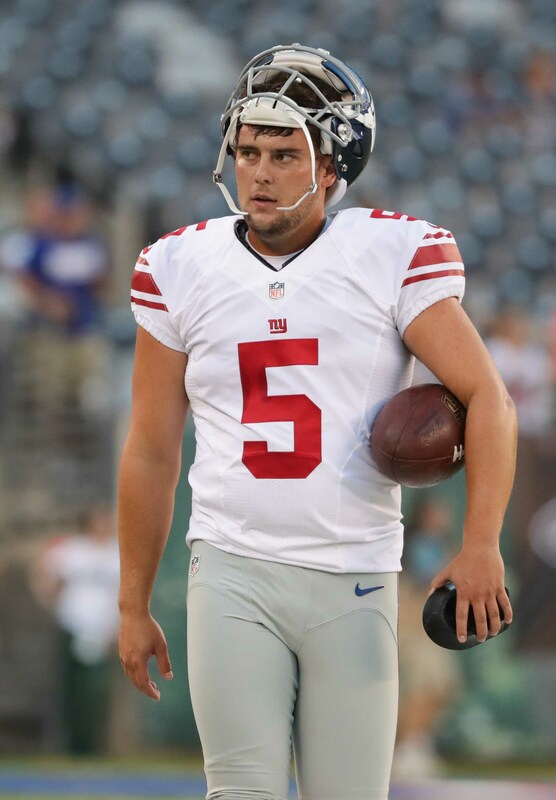 However, that number has dropped this season, as the kicker has only connected on 75-percent of his field goal attempts. Boswell is currently recovering from an abdominal injury, according to Bouchette. Shabazz, an undrafted rookie out of West Chester in 2015, has bounced between the Steelers’ active roster and practice squad this season. In five career games, the cornerback has collected one tackle. 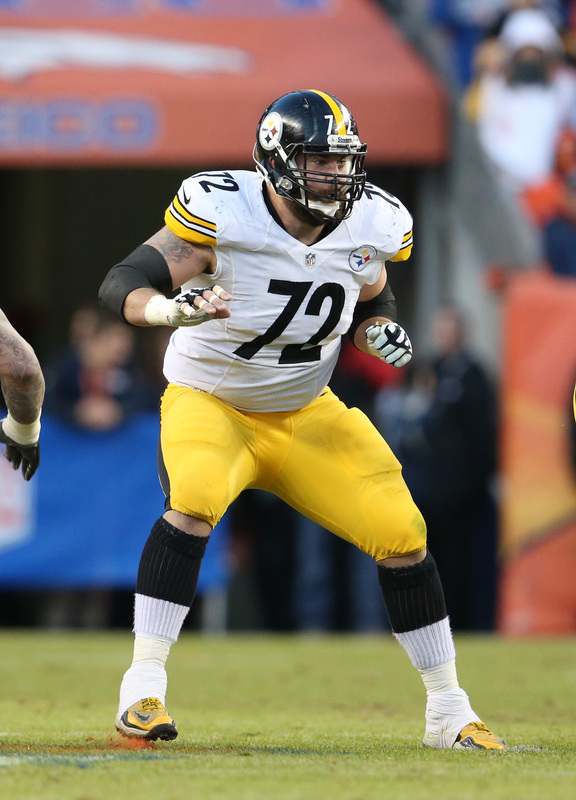 Cody Wallace‘s season has ended before it even started. According to Ed Bouchette of the Pittsburgh Post-Gazette (via Twitter), the Steelers have placed the offensive lineman on the injured reserve. To take his place on the roster, the team has signed cornerback Al-Hajj Shabazz. Wallace has been battling a mystery knee ailment for the entire season, preventing him from taking the field. The backup lineman originally suffered the injury during the preseason, and the ailment was initially diagnosed as a hyperextended knee. However, over time, it was clear that the lineman also suffered bone bruising, and Wallace’s knee showed little response to treatment. In his absence, B.J. Finney has served as the team’s interior backup lineman. The former-fourth rounder has bounced around a bit during his nine-year career, as the lineman has also spent time with the 49ers, Lions, Jets, Texans and Buccaneers. Wallace had a bit of a breakout season in 2015, starting all 16 games in place of injured lineman Maurkice Pouncey. The 31-year-old has made 49 NFL appearances, and he signed a three-year extension with the Steelers back in 2014. Shabazz, an undrafted free agent out of West Chester in 2015, has also spent time with the Colts and Buccaneers. The 24-year-old has appeared in one game this season, collecting one tackle. 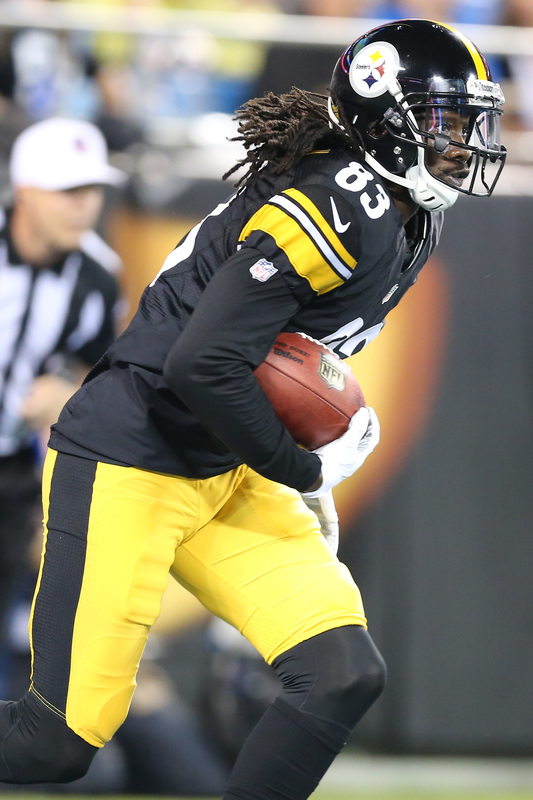 The Steelers have promoted WR Cobi Hamilton from their practice squad, according to Ed Bouchette of the Pittsburgh Post-Gazette (via Twitter). To make room for Hamilton, Pittsburgh has cut CB Al-Hajj Shabazz. Prior to promoting Hamilton, the Steelers had only three healthy receivers: Antonio Brown, Darrius Heyward-Bey, and Eli Rogers (who himself missed the last two games with turf toe). Markus Wheaton has already been ruled out of today’s game against Miami with a shoulder injury, and as Bouchette tweets, Sammie Coates is dealing with a broken left index finger in addition to a laceration above his left palm. Sources have told ESPN’s Adam Schefter that Coates will be a game-time decision today, and even if he is active, one has to wonder how effective he will be. Hamilton, whom the Bengals selected in the sixth round of the 2013 draft, has only appeared in one game in his NFL career (in 2014 with Cincinnati). He has also been with the Panthers, Dolphins, and Eagles. Pittsburgh signed him in August of this year, and he was part of the club’s final roster cuts before joining the practice squad on September 4. Shabazz, a rookie from D-II West Chester, also joined the Steelers’ practice squad on September 4. 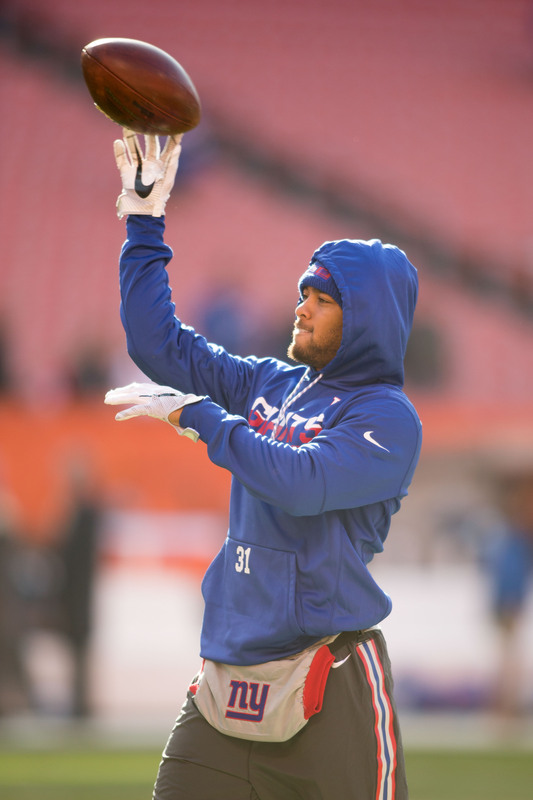 He had his shot on the active roster last week, when he played six snaps on defense and 12 on special teams. Per Joe Rutter of the Pittsburgh Tribune-Review, the Steelers will try to re-sign Shabazz to the practice squad next week if he clears waivers.